Wood floors have a timeless elegance that can easily enhance the look of any home. It works for all types of homes, and is not specific to any particular style. Wood floors are not only versatile when it comes to the style of the home, it is also easy to maintain, clean and repair if needed. On Long Island, many homes have a rustic, vintage look. Wood floors are almost always a staple. Bob McGowan’s experts provide exceptional service when it comes to wood floor finishing. Their over thirty years of experience solidifies their level of knowledge in when it comes to hardwood flooring. Refinishing your wood floors is necessary in maintaining the “new” look and feel of your hardwood floors. Many people try to refinish their hardwood floors on their own. If you can handle the refinishing equipment, then DIY may be your thing, For most people, that is not the case. 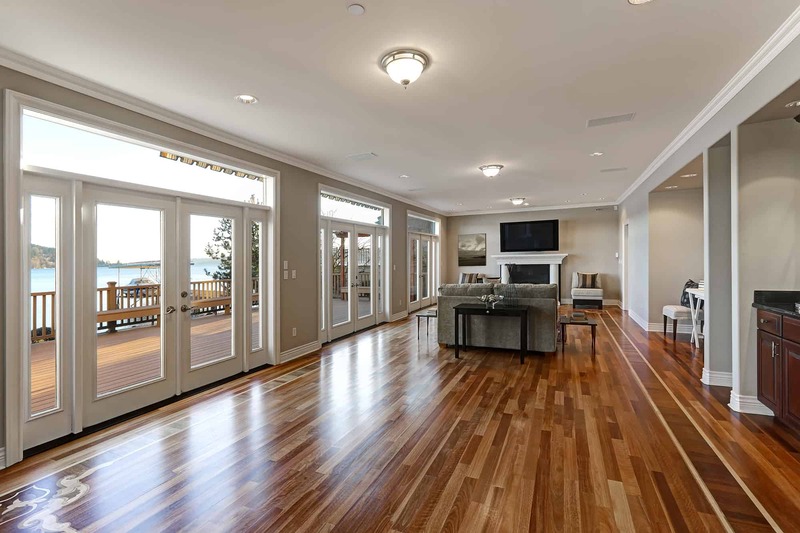 Refinishing your hardwood floors is a job that doesn’t take long (depending on the size of the project), but when done incorrectly, it may cause damage that can’t be fixed, and ultimately you may need to replace your floors altogether. The first thing one needs to do when refinishing their hardwood floors is thoroughly clean the floor. Vacuuming, and lightly mopping to make sure all dust, debris and dirt particles are removed from the floor. Once the floor is cleaned, it’s time to sand your floor. If you’re doing it yourself, you will need to rent a walk-behind sander. It is recommended to test the feel of the sander out in a spot in another room. Understanding how to maneuver it can make the job not only a bit more efficient, but also minimize your making a mistake. Once you have sanded your room, once again, clean the dust thoroughly. Once your floor is cleaned, you have the option to either stain or paint the wood. Staining the wood slightly changes the color, but it enhances the distinct features of the wood. Painting the wood completely changes the color. After the staining/painting step, the next step is to protect the wood. There are different types of protective coatings that you can use for your floor. Varnish: Seals the wood, but also darkens it as well. It’s also not too thick, so if you need to touch up a spot, varnish is a great option. Polyurethane: The most popular wood seal, it is a clear layer that protects the wood from stains, damage, scratching, and is resistant to liquids. Sealer: Sealer is the least effective coating for wood. Since it is much thinner, it needs to be re applied once every six to twelve months It absorbs into the pores of the wood. Many factors play a role in why our wood floors need a little love. Just like everything else in our lives, over time, damage and every day wear and tear will happen. Keeping your hardwood floors in top shape is a great way to give your home a facelift. For over thirty years, Bob McGowan’s Wood Flooring’s experts have been refinishing wood floors all over Long Island. Their wood flooring specialists have been have been keeping homes fresh and updated for over two decades, so they can be sure to help you too!